Today’s hearing aid batteries are 1.45V "zinc-air." Because the batteries are air-activated, a factory-sealed sticker keeps them "inactive" until you remove the sticker. Once the sticker is removed from the back of the battery, oxygen in the air contacts the zinc within the battery, and the battery is "turned-on". Placing the sticker back on the battery will not prolong its life. It is now recommended that you should wait a full minute or more after removing the tab before inserting the battery in the hearing aid. This gives the battery time to reach its full voltage, giving you better performance with the aid and better battery life. Since many of today’s automatic hearing aids do not have "off" switches, opening the battery door at night assures that the device is turned off. Zinc-air batteries have a "shelf life" of up to three years when stored in a cool, dry environment. Storing zinc-air hearing aids in the refrigerator has no beneficial effect on their shelf life, in fact, quite the opposite may happen. The cold air may actually form little water particles under the sticker. If the water vapor creeps under the sticker, the oxygen may contact the zinc, and the battery could be totally discharged by the time you peel off the sticker! Therefore, the best place to store batteries is in a cool dry place, like the back of your sock drawer, not the fridge! The four most common sizes of hearing aid batteries are listed below along with their standard number and color codes. One question often asked is "How long does the battery last?" Typically they last 7-14 days based on a 16 hour per day use cycle. Generally, the smaller the battery size, the shorter the battery life. If you think that is awfully short for battery life, compare this with the life of two D cell batteries put into a flashlight and turned on for 12-15 hours a day. Those batteries will not last even that long, and they are only turning on a light, not powering complex sound processing circuitry, microphone, amplifier, etc.! 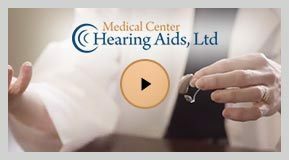 Twice each year, in the summer and again in December, we offer a sale on hearing aid batteries. This is an opportunity to stock up on batteries at a low price, since these air cell batteries have a shelf life of up to three years. You won’t have to worry about being left out of the conversation because you forgot to buy batteries. If you are not currently on our mailing list and would like to be added, please contact our office at (713) 790-1321. We stock batteries at all times, not just during the sales. If you call us up, we will mail batteries to your home, generally the same day or the following day. Our batteries are always fresh. We order batteries throughout the year, so you don’t have to worry about purchasing expired or soon-to-expire batteries. All batteries are toxic and dangerous if swallowed. Keep all batteries (and hearing aids) away from children and pets. If anyone swallows a battery it is a medical emergency and the individual needs to see a physician immediately. There is a National Button Battery Ingestion Hotline, which can be called collect, (202) 625-3333, for information.